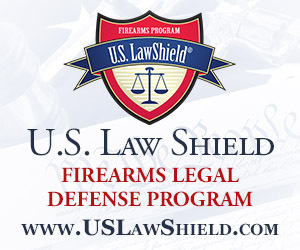 I am now an affiliated instructor with the Armed Citizens Legal Defense Network. http://www.armedcitizensnetwork.org. Contact Tom for more information. Defensive Handgun Enterprises, LLC is located in Parkville, MO. We specialize in training residents to comply with Missouri State laws required for a CCW (Concealed Carry Weapon) permit. All classes are taught by Law Enforcement Firearms Instructors and meet or exceed the requirements of RSMo 571.111S. Additional classes are also offered for Defensive Handgun Training in Basic Handgun and Handgun tactics. Tom & Tom bring home the awards from Gunsite Academy! This class can also be used to satisfy the shooting requirements for the Missouri CCW. During the lunch break the instructor can provide a revolver for participants to shoot, which would leave only the classroom portion of the CCW class to be completed at a later date at a discounted price of $100. Tom at Defensive Handgun can supply custom made, high quality holsters, belts and magazine carriers. Contact Tom with any questions you might have in regard to leather gear. I wanted to thank you for the Tactical Pistol Course you hosted in July. I appreciated the detailed, but easy to understand, instruction and wide range of exercises. Also, the course curriculum was such, that any shooter would benefit from it, no matter their experienced level. You can never get too much practice on the basics and it is rare to get the opportunity to practice engaging a target from, and around, a vehicle platform. Thanks again for the excellent class. Looking forward to taking it again in September. I would take Tom Berry into any fight, any time, any where. Not only is Tom an experienced operator, he is also an outstanding instructor and first rate tactical trainer. You can bet your life on what Defensive Handgun Enterprises will teach you. Several years ago I attended a CCW class taught by Tom Berry. At the time Tom stressed that getting your endorsement was just the beginning and that we really needed training after obtaining our endorsement before we were safe and competent to carry. The first training class I attended after obtaining my CCW demonstrated to me the breadth of what I did not know about carrying. Worse was that I did not realize the extent of my ignorance. I have now taken several Tactical Pistol classes from Tom (and several from other instructors as well.) I highly recommend Tom’s classes. They usually consist of a classroom session followed by a day on the range. The classroom session teaches safety and technique. Those are then honed on the range. In the past, Tom’s classes have included hostage scenarios, shooting from behind a barricade, and even carjacking defense. The class usually concludes with a steel shoot off among the class members. Take his class if you get a chance. You will learn and have a great time. -- Steve Quinn. RSMo 571.101 requires that applicants for a concealed carry permit complete eight hours of training taught by a qualified instructor approved by the sheriff of your county of residence. Please call or email to schedule training sessions. "... thank you for a wonderful session at the farm on Sunday. I learned a lot and really appreciate the work that you and Doug put in to make it such an informative course. It was practical, informative, and very good for someone at my beginner level. You guys are truly experts in your field. Your wisdom and attention to safety and practical shooting scenarios were super. The students learned a lot and became better shooters with more confidence throughout the day. I look forward to seeing you again soon. I just want to let you know that your time and effort were greatly appreciated and I would love to take another class from you one day. All the best, Kevin R.
“I believe training of the nature offered by Tom Berry and Doug Smith is essential for citizens to be able to safely, competently and confidently practice one’s Second Amendment right to bear arms.” -- Former State and Federal Prosecutor E.J.
" As a retiree from a large law enforcement agency having spent much time in training and annual firearm qualifications during my nearly 30 year career, I found your handgun training class informative, accurate, and sincere. I appreciate your efforts towards making our society a safer place". The CCW training course offered by Defensive Handgun Enterprises is a great value at any price! To describe Tom Berry as an instructor, I would use words like "intense", "no nonsense", and "highly skilled". On the morning we were to qualify at the range the temperature outside was about 10 degrees F. Without hesitation, Tom commented, "Bad things happen to people even in bad weather." No doubt! Having grown up around firearms, it was amazing the number of new things that I was able to learn from this course. I would, without question, recommend Tom Berry and Defensive Handgun Enterprises to anyone who is serious about firearms and the training that is required to be proficient with them." Copyright © 2004 - 2016 by [Parkville.info, Inc.]. All rights reserved.